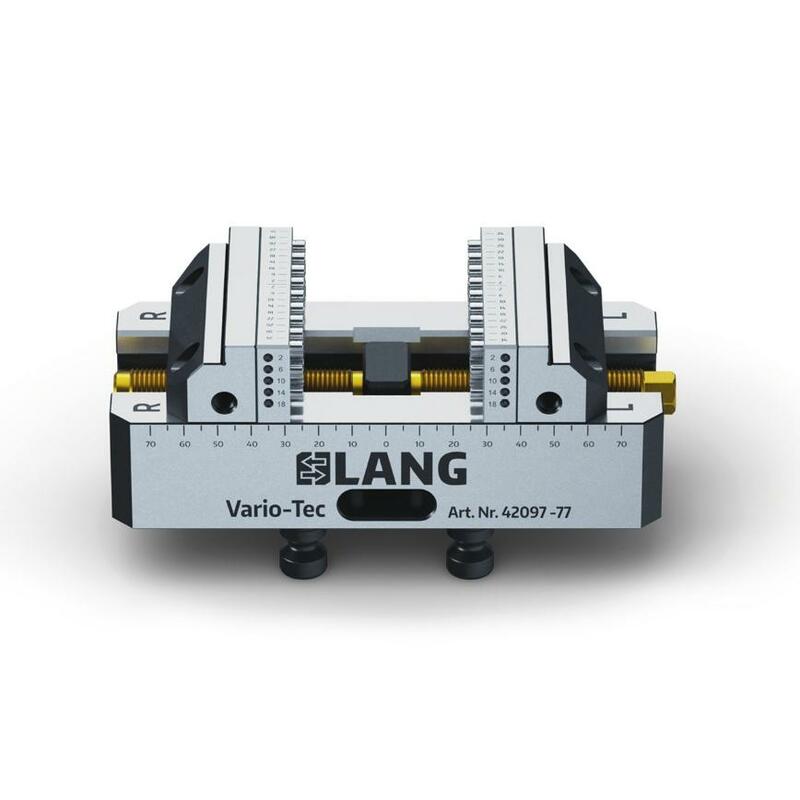 Vario-Tec with its patented pin jaw system is another clamping option for (semi-) finished parts. 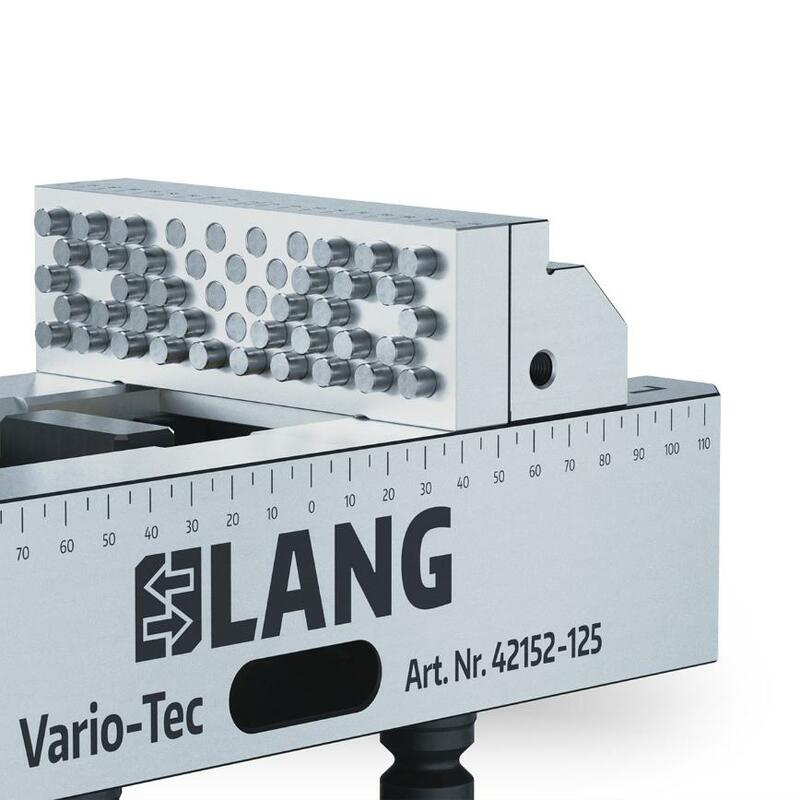 The pins which are blown out by compressed air act as support and resting possibilities. Therefore parallels and disturbing endstops are made redundant. Pins not needed are simply pushed back by hand. 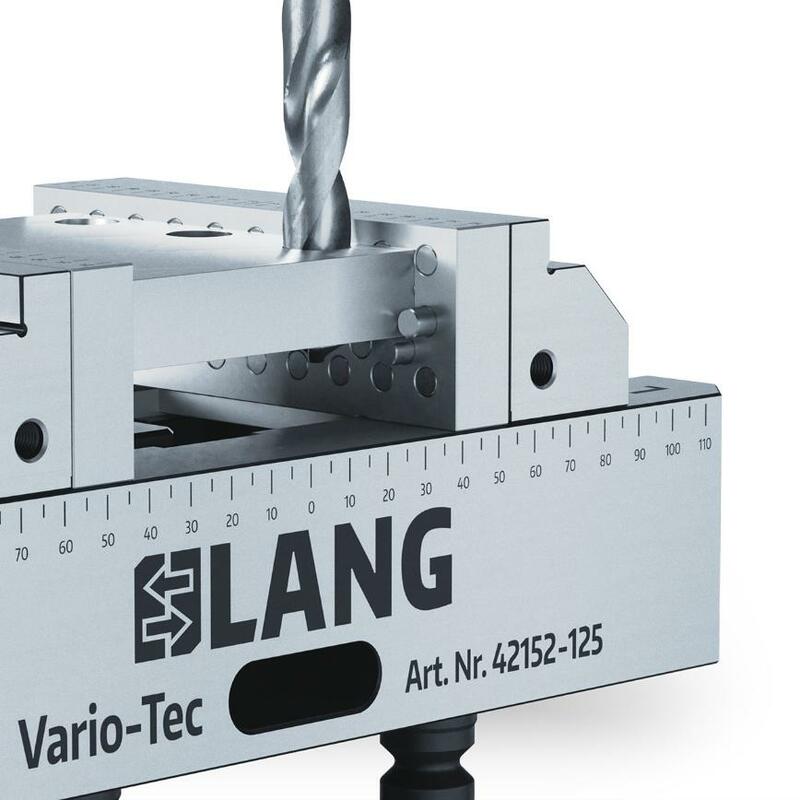 Clamping configurations are changed within seconds.